My parents met in college. So did their parents (both sets!). As for me...well, I don’t want to be pessimistic, but I’m graduating this year and it doesn’t look like my soul mate is going to show up by then. I’m alright with that, but I have to admit that I’m pretty nervous about what the post-graduation dating scene will look like. I’m applying to jobs all over, but I’m concerned that a job in the suburbs might be a handicap in the dating world. And do I need to be on all of these apps? Please help! The post-college dating world can certainly seem confusing, but there are a lot of people in the same boat as you. The average age for marriage is 27 for women and 29 for men, which means that there will be plenty of other folks on the same apps as you. And, yes, you may want to give those apps a try. There are 40 million other people using them, so there ought to be a pretty good selection! With 40% of Americans giving online dating a shot, apps and websites for meeting people are more common than ever. And as they grow more common, dating apps are getting a bit more complicated, too! Special tools and premium features--such as Tinder’s “super-like” and “Tinder Plus”--add to the messy world of dating online. 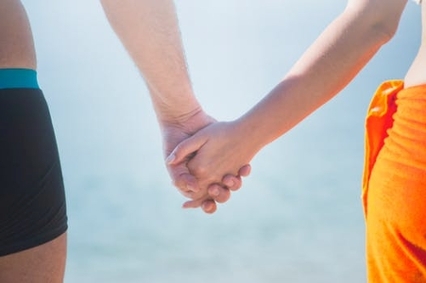 Where you live can affect your dating life, experts say, but it’s not as simple as areas with high populations being good and ones with low populations being bad. While big cities like New York rank in the top five by some dating metrics, they tend not to make the top five in relationship odds, Facebook’s data shows. And the suburbs aren’t necessarily dating wastelands, the experts at SW Ohio Real Estate told us. Demographics change from neighborhood to neighborhood, and many smaller suburban towns have active centers. Urban dwellers also tend to get married later, so cranking up your search radius on dating apps in the suburbs may turn up some more “serious” daters than the dense city dating pool. In short, having a lot of single people around does not necessarily mean you’ll have an easier time finding your soul mate--in fact, the opposite may be true.